Who doesn't love the original 1984 A Nightmare on Elm Street directed by Wes Craven? Even the most jaded horror fan recognizes its brilliance, and most stayed far away from the 2010 remake. This includes original Nancy, Heather Langenkamp. Like many of us, she has her reasons for refusing to watch the reboot, which is now 7 years old. Though her reasons are a bit more personal. 2010's A Nightmare on Elm Street, which hails from Platinum Dunes, did a lot to ruin the franchise. As one can clearly see, it was such a non-starter in terms of rebooting the franchise that we've never seen a sequel and the production company is still hard pressed to get a second remake off the ground. Samuel Bayer directed this latest adventure for Freddy Krueger, which gave the ultimate night terror with the knife fingers an all-new backstory. 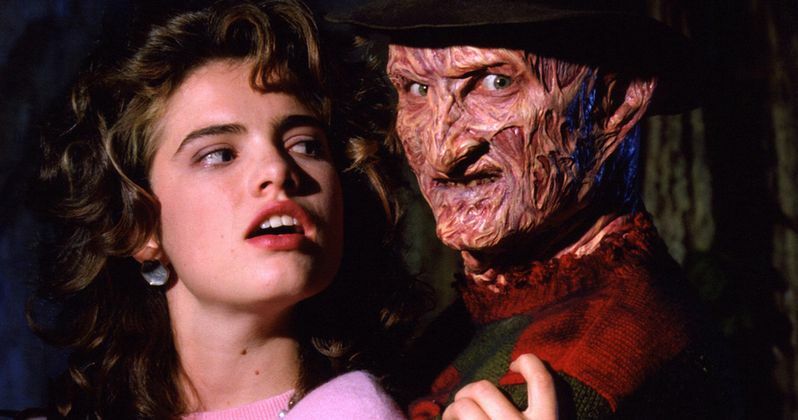 Knowing of the film, but having never watched it, Heather Langenkamp can't personally critique the movie. And she doesn't necessarily know if it is good or bad. But she made her feeling about the film widely known on the recent DVD of Dream Warriors, the third Nightmare movie which celebrates its 30th Anniversary this year. The actress says this about refusing to watch the remake, a quote which comes courtesy of MoviePilot. "I can't let go of my own vision of Nightmare on Elm Street. I just don't want to. I don't want to see another person play Freddy Krueger. I don't want to see scenes that we worked really hard on be reimagined. I respect their reason for doing it but I don't want to have it in my imagination or my mind. Those memories are so precious to me. I was a teenager when I made that movie so it's so formative. My friendship with Robert Englund is so important to me that I don't need it." What's interesting to note is that many fans felt the exact same way when the movie was released in theaters. Though it goes a little deeper with Heather. Her fist major role was in the original 1984 outing, and she later came back in Part 3. She also returned as herself in the self-referential New Nightmare, which was released in 1994. New Line has been talking about another Nightmare reboot for years now. Langenkamp is opening to returning, and even went onto talk about how Nancy herself could be resurrected. She says this. "You see this in some of the other horror franchises, is that they're taking the universes of these stories, all the elements of the story that was created and picking something that was over here, not the main thrust of the story and expanding upon it. There's so much in the Nightmare on Elm Street realm that could still be explored. I would never say no to the option of doing something like that. It's a great universe and it's one of the most creative franchises. There's more to be made, I'm sure." Heather Langenkamp is actually returning to the big screen in a totally different horror franchise this year. She will co-star in the next Hellraiser sequel currently being called Judgment. Though we won't get to see Pinhead and Freddy square off. Even if she doesn't return as Nancy, she could still come back and play a new character in the next iteration of Freddy Krueger, if it doesn't tread on the original.